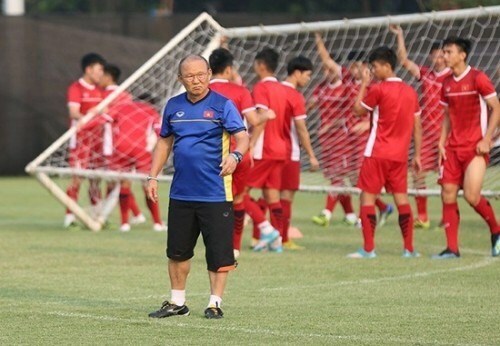 Hanoi (VNA) – Vietnam’s football team has been placed in the weakest pot for the group draw for the 30th Southeast Asian Games (SEA Games 30) to be held later this year in the Philippines. According to the organisers, Vietnam are in pot four with Laos, Cambodia, Brunei and East Timor. Vietnam were placed in pot four because of their poor performance at the previous SEA Games in 2017, when they failed to pass the group stage. The Philippines and defending champions Thailand are in pot one, as they are considered the best sides. Indonesia and the 2017 runners-up Malaysia are in pot two. Myanmar and Singapore are in pot three. A draw for the group stage has not been confirmed. But Vietnam’s position is likely to make it in the same group with defending champions Thailand, the runners-up Malaysia or the fourth-placed Myanmar.